Tokyo: India will agree on Monday to purchase 12 amphibious rescue aircraft from Japanese manufacturer ShinMaywa Industries worth $1.5 billion-$1.6 billion, a Japanese daily reported on Sunday. Japan and India have been holding talks on the purchase for more than two years. It would one of Japan’s first sales of military equipment since Prime Minister Shinzo Abe lifted a 50-year ban on arms exports and it reflects growing defence ties between the two countries. The Defence Ministry will approve the purchase of 12 US-2 aircraft at a Defense Acquisitions Council meeting scheduled for Monday, Japanese newspaper Nikkei reported, citing senior ministry officials it did not name. 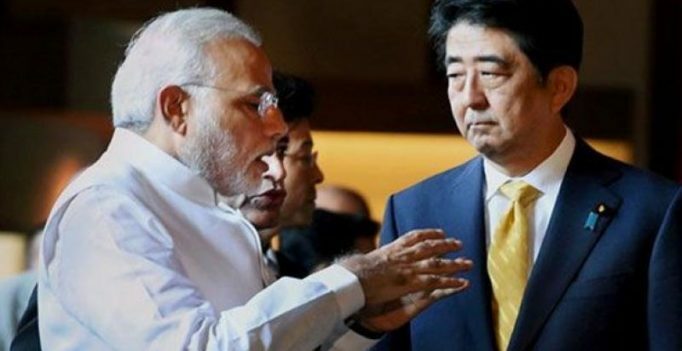 The deal will be included in a memorandum of understanding to be signed during Prime Minister Narendra Modi’s visit to Japan from Thursday to Saturday, the Nikkei said, citing the officials. During the visit, Mr Abe will also urge PM Modi to expand its usage of Japan’s high-speed train technology, the Nikkei reported.